Three new University of Sheffield buildings have been nominated for a prestigious RIBA Yorkshire award which celebrates great architecture in the region. The three engineering research centres - the Laboratory for Verification and Validation (LVV), the Integrated Civil and Infrastructure Research Centre (iCAIR) and the Royce Translational Centre (RTC) were designed by Bond Bryan Architects and built by Finnegans. Located within the heart of the Sheffield City Region’s Advanced Manufacturing Innovation District, the buildings were officially opened last October by Northern Powerhouse Minister Jake Berry MP and Sheffield City Region Mayor Dan Jarvis MP. 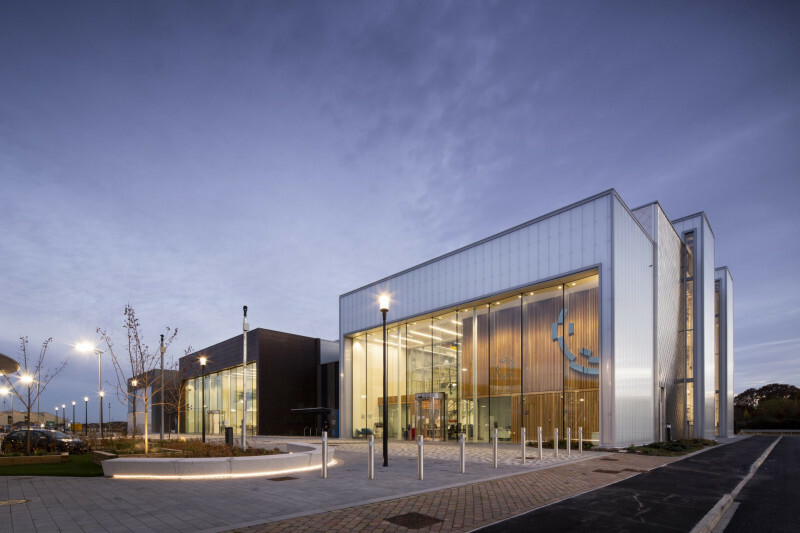 The shortlisted projects will be assessed by a regional jury with the winning buildings announced at the RIBA Yorkshire Awards evening and reception on 16 May 2019 in Leeds. Regional Award winners will be considered for a highly-coveted RIBA National Award in recognition of their architectural excellence, the results of which will be announced in June. The three world-leading translational research facilities are each housed in custom-designed prestigious new buildings, creating 3,000 sq.m of high-technology facilities at an investment of £47m, part-funded by the European Regional Development Fund (ERDF), UK Research and Innovation (UKRI) and the University of Sheffield. Each one builds upon the UK’s scientific research leadership to equip industry in these key priorities of the government’s Industrial Strategy.